Also known as sweet root, licorice has been used for centuries for medicinal, health and beverage purposes. Licorice root is used in modern times, as well, for conditions such as peptic ulcers, canker sores, eczema, indigestion, colds and coughs, according to the University of Maryland Medical Center. Prepare a tea by steeping dried licorice root to potentially ease symptoms associated with these conditions. Always ask your doctor beforehand, however, because licorice root isn't safe for everyone. 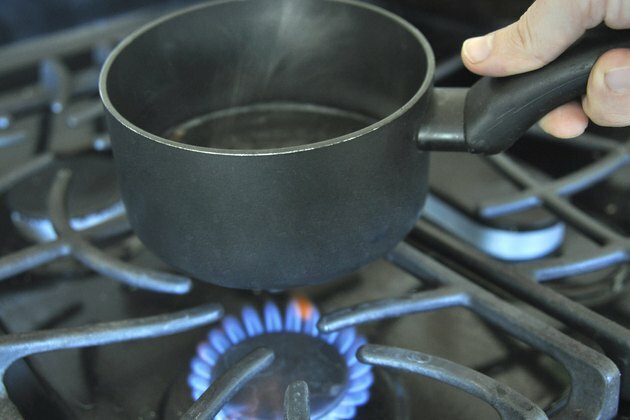 Boil 4 to 8 ounces of water in a saucepan, depending on how much tea you want to make. 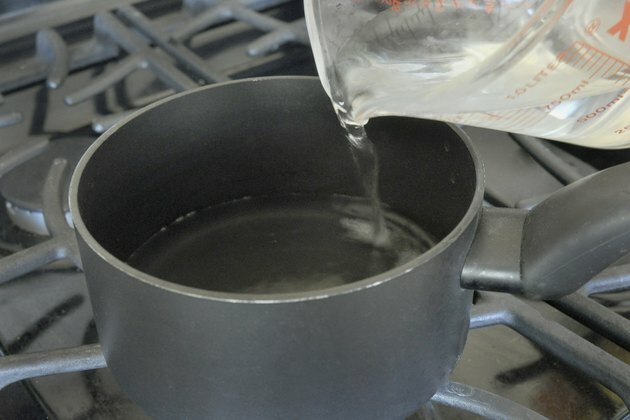 Add 1 teaspoon of dried licorice root to the saucepan for every 4 ounces of water. 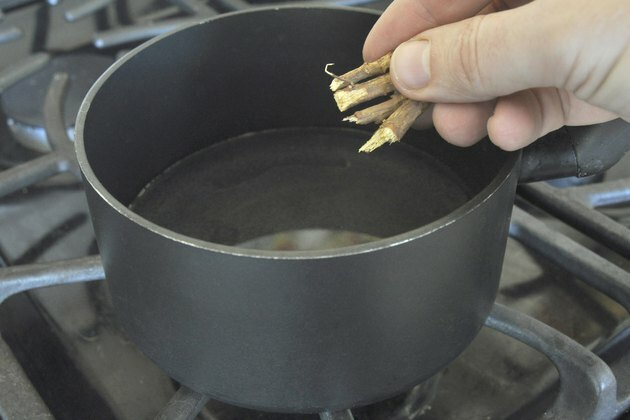 Remove the water from the heat and let the licorice root steep in the saucepan for 5 minutes. 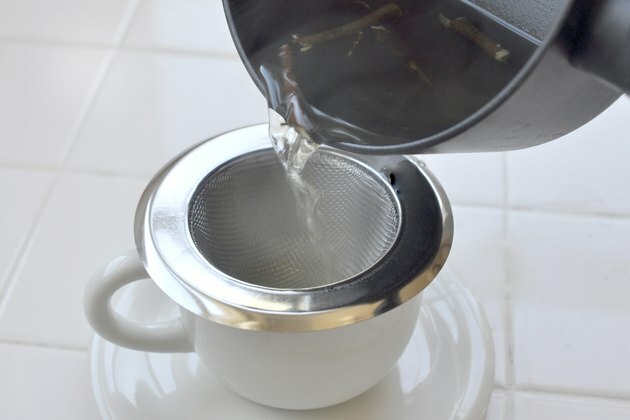 Pour the tea through a fine-mesh kitchen strainer set over a teapot or a tea cup. Discard the dried licorice root. Look for dried licorice root at most health food stores. Ask your doctor what the most appropriate form of licorice root is for you and your health history. Don't drink licorice tea for more than a week. Drinking it for longer than this can cause negative, potentially dangerous side effects. 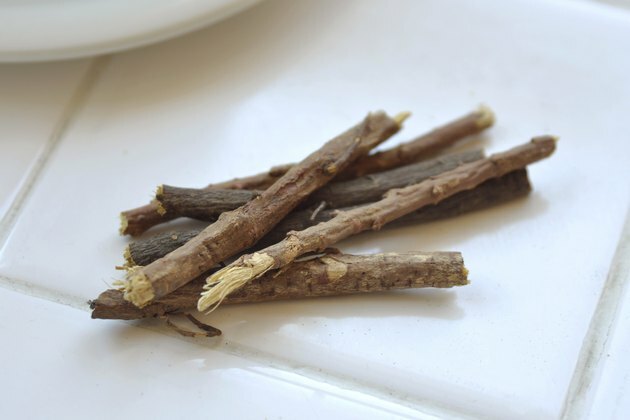 Look for licorice root that doesn't contain glycyrrhizin; it's called deglycyrrhizinated licorice, or DGL. Glycyrrhizin in large doses can interfere with normal adrenal function, as well as cause water retention and leg swelling. If you have health problems, don't use licorice tea without your doctor's approval. And be sure to tell your doctor about any medications or alternative medicines you use because licorice root can interfere with certain ones.